Providing QUEEN with its highest-charting album in 38 years in the U.S., where it's approaching official gold status as well as becoming one of the band's fastest ever selling albums throughout the world, QUEEN's "Bohemian Rhapsody" film soundtrack is set to be released as a two LP set February 8. 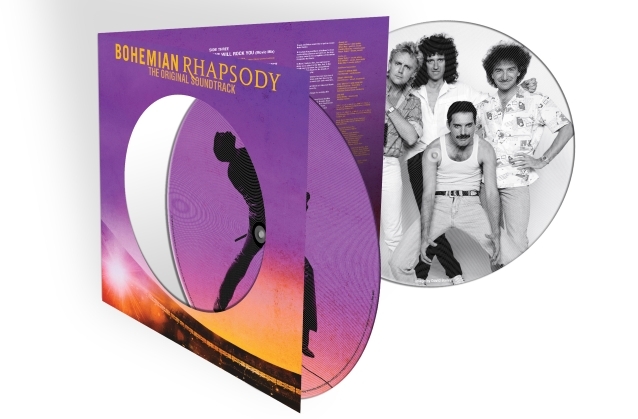 In continuing the celebration of QUEEN's iconic music, a special picture-disc edition as well as a seven-inch single featuring "Bohemian Rhapsody"/"I'm In Love With My Car" will be released on Record Store Day, April 13. The 22-song soundtrack album, produced by Brian May and Roger Taylor, features the first-ever release of audio tracks from QUEEN's legendary performance at Live Aid as well as other rare live tracks and their biggest hits. Rolling Stone hailed it as "more than just a greatest-hits," praising it as, "a fun imaginative way to relive the band's genius." 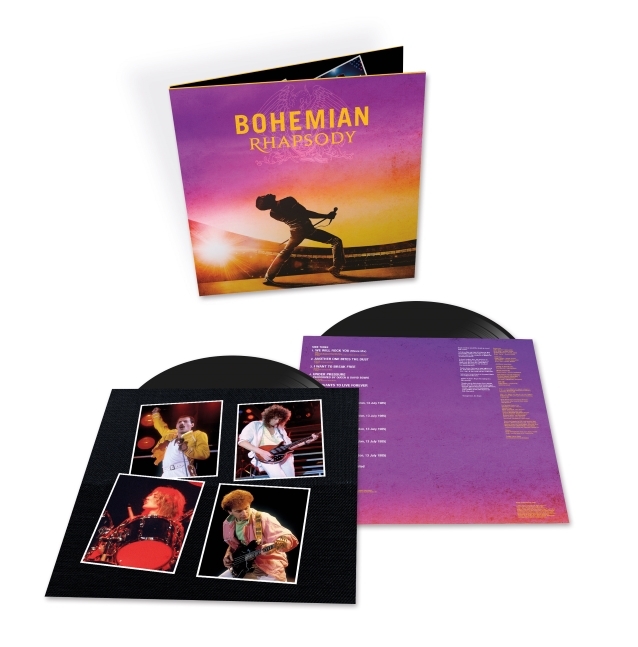 The "Bohemian Rhapsody" OST standard vinyl edition, the first of these special releases, will come as a four-side vinyl double album specially cut at Abbey Road Studios. Most likely to be of interest to avid collectors will be two special Record Store Day releases: a double album picture disc version of the soundtrack and a special seven-inch single release of the original "Bohemian Rhapsody"/"I'm In Love With My Car" track coupling. While not featured in the film, "I'm In Love With My Car" is joke-referenced several times in the film. Now the track gets its moment. "Bohemian Rhapsody", the film, had its world premiere in the U.K. on October 23 and has since gone on to top the box office in more than 35 countries around the world with over half a billion dollars in global ticket sales to date. The film has received two nominations for the 2019 Golden Globe awards: "Best Motion Picture – Drama" and "Best Actor In A Motion Picture – Drama" for Rami Malek's exceptional portrayal of the legendary Freddie Mercury. The worldwide success of the film has also given a healthy boost to QUEEN's music across all streaming services. "Bohemian Rhapsody" was not only the top trending song per Google's 2018 Year In Search, but is now officially the most streamed track of the 20th century having surpassed 1.6 billion streams globally, followed by "Don't Stop Me Now" at 700 million streams and counting. As previously announced, QUEEN + ADAM LAMBERT's North American "Rhapsody" tour kicks off July 10 in Vancouver, British Columbia, at Rogers Arena wrapping on August 23 at the Spectrum Center in Charlotte, North Carolina.